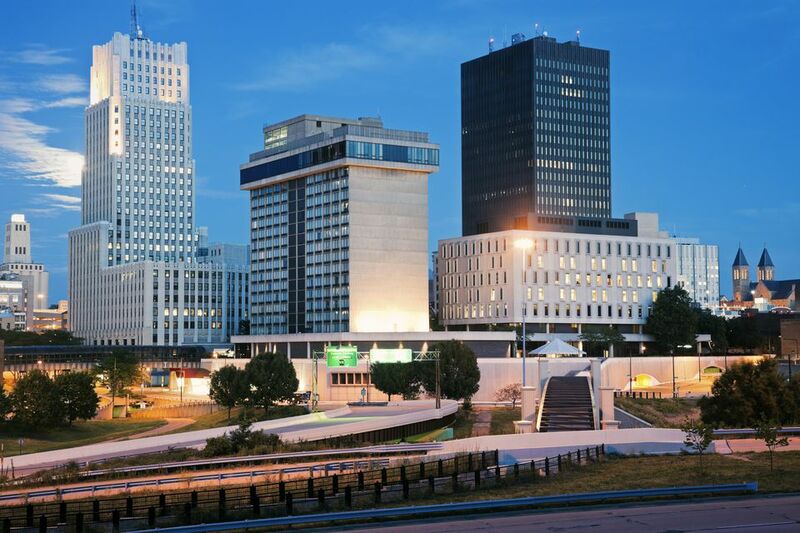 If you're visiting Akron, Ohio during the New Year's holiday, there are plenty of great places to ring in the new year for both kids and adults—from the huge city-wide fireworks display to private parties at some of Akron's best clubs and venues. Whether you're traveling with children or out on an adventure by yourself or with a few friends, you're sure to find a big celebration to party out 2018 and ring in 2019 in style. Although many restaurants and bars host their own small-scale events, the city and a few of its larger venues also have huge bashes for residents and visitors alike to celebrate the date change. Ring in the New Year in retro fashion at Musica Performing Arts space in downtown Akron. The venue and bar, housed in a refurbished brick warehouse, is shedding its typical rock 'n' roll vibe for a glam 70s disco club theme. There will be party favors, food, jello shots, lip sync contests, DJs, and even a red carpet with a photographer so you feel like a celebrity. The event also offers a discount for 20 rooms at the Courtyard Marriott Downtown at $119 a night for out-of-town visitors. The event itself costs $25 and runs from 7 p.m. to 2 a.m. on New Year's Eve. If you're looking for a bit of a more casual New Year's Eve party, head over to the Northside Marketplace where you can enjoy local craft beers, wine, champagne, and a variety of locally-sourced and prepared foods. The big event for the Northside New Year's Eve party is watching the Times Square festivities on the big screens and watching the downtown Akron fireworks close-up as well as live music from local bands. If you don't mind a bit of a drive, head a half hour south of Akron to Canton, Ohio for a swinging 20s party at Royal Docks Brewing Co. The brewhouse's first ever New Year's Eve event will be an evening of dinner, drinks, and dancing. Tickets cost $50 on presale and $65 at the door; the tickets include hors d'oeuvres, champagne toast, and your first drink. Guests are encouraged to come in 20s attire (bring on the flapper dresses!). Your kids will have a great time at Romp N Stomp Kids New Years Bash from 11 a.m. to 1 p.m. and 1 p.m. to 4 p.m. on New Year's Eve. Romp N Stomp is one of the newer kids attraction in the Akron area, just minutes from Fairlawn, and the package includes dinner, dancing, games, prizes, balloon drop, noisemakers, hats, and party favors. Get a head start on your New Year's Celebration by starting a night early at Laser Quest. On Sunday, December 30 from 11 p.m. to 6 a.m. on New Year's Eve, enjoy unlimited laser quest games, specialty games, light refreshments, and great music all night long. Generally, this event brings in teens and the 20-year-old crowd and costs $30 in advance or $35 at the door. The entire area is also alcohol-free, so this makes for the perfect party place for you if you have younger kids into the high-tech world of laser tag. If you feel like driving over to Cleveland instead, there's also an overnight New Year's Eve party called "The Ultimate New Year's Eve Party" at Lazer Xtreme. Dance the night away with live entertainment in Cascade Overlook or a DJ in the Grand Ballroom. Your evening begins at 7 p.m. and includes a champagne reception and hors-d'oeuvres, chef carving and food stations, an open bar, and midnight ballroom drop with party favors.